You might be surprised to learn that one of the most famous wines in the world, Bordeaux, is actually a blend. While most wines are named after the grape varietal used, there are a few that are named after the region in France where they originate (e.g., Champagne and Bordeaux). Bordeaux blends come in both red and white, but are most popular as a red wine. It is typically a mix of Merlot and Cabernet Sauvignon with varying ratios based on the winemaker’s taste. Merlot adds body and texture to the wine, which brings out the tannic backbone of Cabernet Sauvignon and softens its harsh acidity. 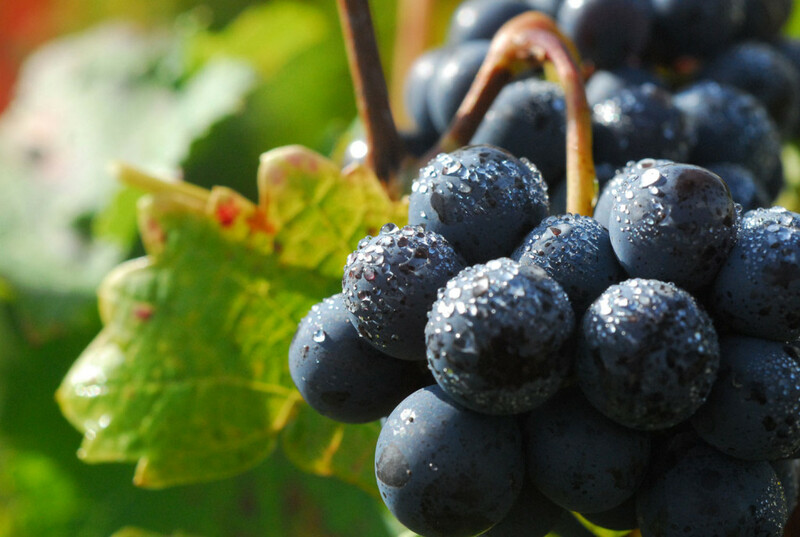 From there, a winemaker may add additional varietals such as Petit Verdot, Malbec and Cabernet Franc, giving each blend a unique flavor. There are two types of traditional Bordeaux blends: those from the left bank of the region and those from the right bank. Blends from the left bank are dominated by Cabernet Sauvignon and are firmer and more tannic, while right bank blends feature Merlot more prominently and are usually softer and rounder wines. Our own 2012 Estate Grand Reserve is fashioned after traditional left-bank Bordeaux blends and is also blended with Cabernet Franc, which makes for a smooth, lush wine that’s full-bodied with flavors of cherry, plum and spice. The simple presence of Cabernet Sauvignon and Merlot in wine does not automatically designate it as “Bordeaux,” however. What enables the wine to be labeled Bordeaux is its location— it must be made in the Bordeaux region. The French laws that are used to regulate wine are specific and include what can be put on the label, as well as what wine can be made in what region. For this reason, a true Bordeaux is made in the Bordeaux region; if the wine is not made in the region, then it cannot be labeled as a Bordeaux wine. Essentially, this means that a Merlot and Cabernet Sauvignon blend made in El Dorado cannot be called a traditional Bordeaux, but must be called a Bordeaux-style blend instead. Whether you are drinking a traditional Bordeaux or a Bordeaux-style blend, this classic blend features what is arguably the greatest partnership in wine.